If you are viewing this on our wordpress blog, we have moved our website to http://photoclubatucla.com (no more wordpress). So please visit that site to obtain the most recent updates as far as meetings and other information goes. And join our facebook group here: right here! In your group of friends, are you tired of being the one behind the camera? Always dreamed of being the subject of the photos for once? Well now is your opportunity! This Friday at 4pm in Ackerman 3517 (same as last week) we will be discussing directing/posing your subjects when doing a photo shoot. You will not only be learning about certain methods, but after a brief presentation we’ll go out around campus and actually direct each other! We’ll experiment with poses and the surrounding environment. You’ll be able to direct and be directed so you can truly get the full experience of a photo shoot! ALSO: We’ll be unveiling a new forum-based website in the coming week or two. We’ll have sections where you can schedule meet-ups, share photo opportunities, buy/sell/trade/rent equipment from others, post DIYs, share photos, and so much more! We will be having a meeting in Ackerman 3517 at 4pm this Friday. We’ll be discussing basic film photography/development and will also be talking about selling your work or getting paid for your photography. In addition! We will be bringing back our photo critique (with more time this time), so if you plan on attending the meeting pretty please send in your favorite shot from over winter break. We’ll be offering constructive criticism as a group and it is also a chance for you to show off your photography! Please email the photo or link us to one online by Thursday at 10pm. The Photography Club at UCLA is starting this quarter off with a bang! We’re heading to the LA Art Walk this Thursday at 6pm. Wait, what is this LA Art Walk? The second Thursday of every month, downtown LA galleries open up their doors for free admission to the public. There’s tons of art, awesomely crazy people, and lots and lots of food. We’ll meet at Ackerman Turnaround a little before 6 on Thursday. Dress warmly, bring cash, and a fast lens or flash! If you can DRIVE or NEED A RIDE, please email us back by Tuesday at 10pm with your information (name, phone number, etc), and number of seats and availability. Otherwise, seats are FIRST COME FIRST SERVE. No email, no ride. Also, bring cash for gas and parking (and food trucks)! This week the Photography Club at UCLA is going to be doing some long-exposure shooting using “light painting.” The best way to describe it is to show you the type of stuff we’ll be shooting: here, here, here, and here. Pretty awesome, no? We’ll be meeting at 5:00pm this Friday in Ackerman 2140 for a brief presentation, after which we’ll head out around UCLA and do some sweet light painting. However, if you don’t, please come out! We’ll be swapping tri-pods and light sources so need to worry about that. 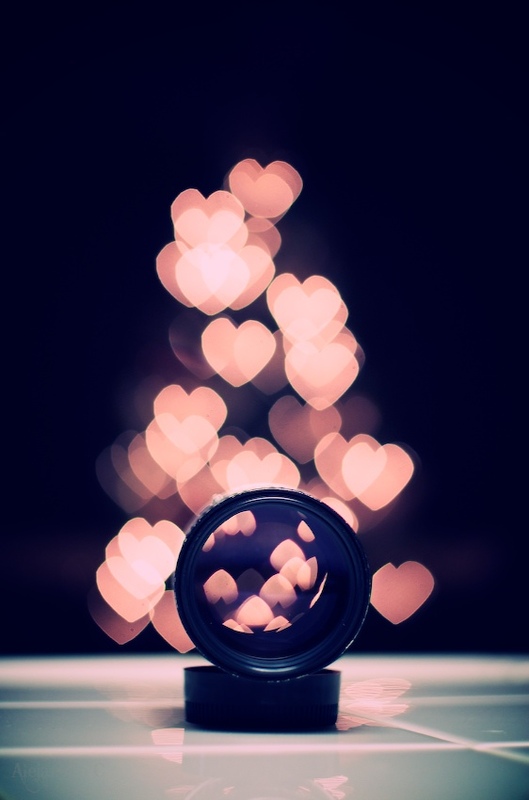 At this week’s meeting, the Photography Club will be doing an awesome DIY project Friday in Ackerman 2412 at 4pm! We’ll be shaping our own apertures to get some great bokeh effects. If you can, bring some scissors or an exacto knife, or a puncher if you have one. Also bring a lens with a wide aperture; it’ll give the greatest effect! Our theme for this week’s submission is bokeh. Send us your favorite photo by Thursday night at 10 pm, and hopefully we’ll get see all the great shots at the meeting! See you all there! Now that we’ve straightened out some room issues, we’ll be having our first in-room meeting of the school year! Join us this Friday at 4pm in Ackerman 2408 for some tasty snacks and an informative lecture on travel photography tips and tricks. Zeus will be telling tales of his photography experiences over the summer and John will offer more technical advice on travel photography. In addition! If you plan on attending the meeting please send us your favorite photo from over the summer (preferably travel oriented) by Thursday night at 10pm. You’ll get to show it off in front of everyone else and we’ll all offer some constructive criticism so we can all become better photographers. Right on! See you all out at the meeting!